OGDEN, Utah-- Two years ago, Republican delegates in Utah stunned the country by voting 17-year Republican Sen. Robert Bennett out of office in a second round of balloting at their state convention. But don't expect those kinds of fireworks this Saturday. There's long been talk that the tea party would once again help mount a successful ouster of a Republican they believe to be too moderate at this year's Utah convention. Their target: 36-year Senate veteran Orrin Hatch. But this week, even Hatch's challengers aren't talking about a Bennett-style blowout. "This is not in the bag," challenger Dan Liljenquist, a former state senator, explained to Yahoo News Wednesday night in an interview between his town hall meetings held here at the home of local supporters Sean and Catherine Slatter. "We've been outspent 30 to 1 on this race." Liljenquist, who is supported by tea party groups, said that no Utah campaign in history has had a candidate spend $6 million prior to the March caucus, when convention delegates are elected. And that's not the only difference between today and 2010. Liljenquist noted that unlike Bennett, whose challengers took him somewhat by surprise at the 2010 convention, Hatch has had "two years to prepare" for this race. Given his longevity in the Senate, Hatch also possesses a stronger degree of name recognition than Bennett. And perhaps most importantly, there is no national catalyst working against Hatch, as there was against Bennett in 2010. Obamcare passed just two days prior to Utah's March caucuses in 2010. Even though Bennett opposed the president's health care law, Liljenquist and his team believe that its passage drastically altered the mood of the primary, turning the tide against Bennett. "We had a whole bunch of new people turn out on caucus night who were angry with the direction of the federal government and I think that that wave kind of overwhelmed Senator Bennett in that election," Liljenquist said. Delegates elected during that caucus participated in the convention that resulted in Bennett's defeat. Under Utah's electoral system, candidates will compete this Saturday in an instant-runoff format where the lowest placing candidates will be eliminated in ballot rounds and delegates for those losing candidates will be free to support a new candidate or abstain in subsequent rounds. 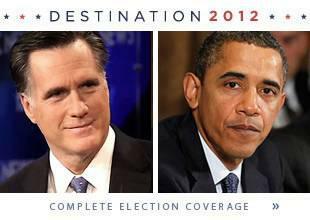 If at any time, one candidate receives 60 percent or more of the vote, he or she will instantly become the nominee. Absent that, the top two finishers will advance to a June 26 primary—a scenario Liljenquist and his team say they are confident will be a Hatch versus Liljenquist matchup in a primary showdown two months from now. In addition to Liljenquist, who polls as Hatch's top opponent and is strongly backed by FreedomWorks, a grassroots organization that advocates for lower taxes and less government, there are seven additional candidates as well as Rep. Chris Herrod who will compete Saturday for the Senate nomination. And if the publicly available polls are to be believed-- including those from Hatch pollster Dan Jones and Associates-- Hatch is within striking distance Saturday of that magic 60 percent threshold necessary to avoid a primary. But Liljenquist argues otherwise. "It's been notoriously difficult to poll delegates," Liljenquist said Wednesday. Both Liljenquist and his campaign manager Holly Richardson point to now-Rep. Jason Chaffetz' polling heading into the 2008 GOP convention. "Jason Chaffetz was polling in the single digits going into convention, ended up with 59 percent of the vote in the convention," Liljenquist said. According to a Hatch campaign poll of delegates, Hatch is leading with 61 percent support compared to Liljenquist's 22 percent. Liljenquist spent a portion of Wednesday morning practicing his convention speech, something all qualified candidates are offered time to deliver. If his speech is anything like the messages he gave to visiting delegates here Wednesday, it will be about his conservative vision, his experience, and maybe even the guy most likely to top the GOP ticket. "You've heard about Bain [& Company] in the presidential race," Liljenquist told his first group of about eight town hall visitors Wednesday night in reference to the company Mitt Romney is known for leading. "It was a great training experience. It was high pressure." Romney has factored significantly into this Senate race because the presidential candidate has publicly endorsed Hatch and has appeared in television and radio ads for the senator. "We need strong leadership in Congress to fix the economy, and we can count on Senator Orrin Hatch in the fight to lower taxes, to balance the budget, and to repeal the federal government takeover of health care," Romney says in a new television ad. Liljenquist's campaign notes the endorsement of Hatch was issued last September, months before their candidate quit his state Senate position to mount his campaign. They believe Romney's beliefs line up more closely with Liljenquist than with Hatch. "The type of candidate Mitt Romney is promoting-- someone with private sector business experience, someone who is not a career politician, someone tough on spending-- Dan fits that profile," campaign manager Richardson told Yahoo News. Liljenquist's time at Bain in the early 2000's did not overlap with Romney's tenure, but the Senate challenger made clear to his audience Wednesday he will be able to work with Romney-- who shares the same support for the "Bain Way"-- if both men are elected. Liljenquist is running on a fiscal and socially conservative platform, touting his time at Bain, his skill as an entrepreneur and small business owner, and his experience as a state senator (from 2009-2011), which includes his reform of the state pension system for public employees and Medicare. 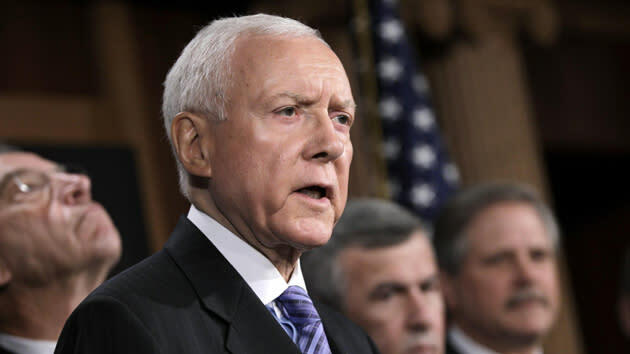 Liljenquist argues that Hatch has presided over excessive spending, supported the Troubled Asset Relief Program (TARP) bailout, cosponsored the State Children's Health Insurance Program (SCHIP), and taken many other fiscally irresponsible actions. For his part, Liljenquist has been criticized for a lack of experience, and has been attacked-- wrongly, his campaign and fact checking groups assert-- for supporting state pension double-dipping and for low attendance in the legislature. At the first town hall Wednesday, one delegate asked Liljenquist to reassure him why he should vote for a new candidate over Hatch and his seniority. Liljenquist responded by asking those gathered to name a recent Finance Chairman. The Senate Finance Chair "is not the king of the world," Liljenquist said. "Democrats are likely to keep the Senate," he said, later adding that Sen. Mike Crapo of Idaho is actually more likely to win the chairmanship. "There's very little risk to Utah not having Senator Hatch there." Check back with Yahoo News Friday for a dispatch from the Hatch campaign.